You can make the original vanilla crème caramel or give it an orange or espresso twist (see Variations below). Position a rack in the center of the oven and heat the oven to 325°F. Arrange eight 6-oz. ramekins in a large roasting pan. 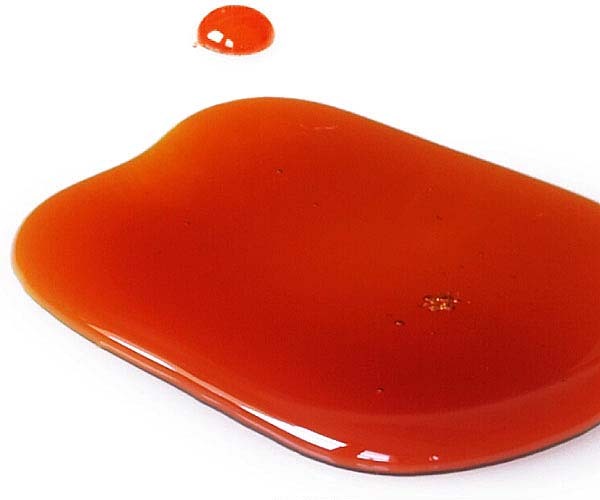 Make the Basic Caramel according to the directions, but cook it another 30 seconds or so to a medium-dark amber (pictured below). Immediately pour the hot caramel into the bottoms of the ramekins, portioning it equally. Quickly and carefully swirl each ramekin to coat the bottom evenly and coax the caramel about 1/2 inch up the sides of the ramekins. 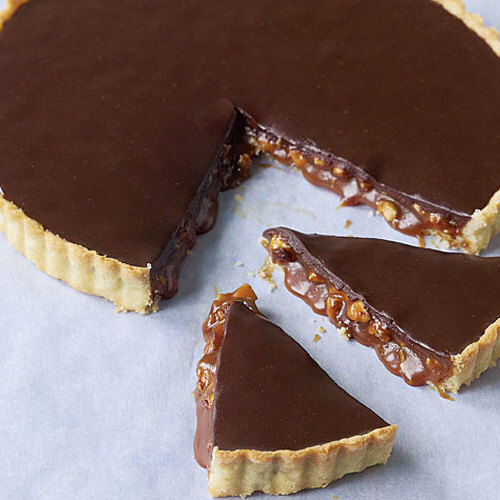 Set aside to let the caramel harden. Fill a teakettle with water and bring to a boil. Combine the milk, cream, sugar, and salt in a heavy-duty 3-quart saucepan and bring to a simmer over medium-high heat, stirring occasionally. Remove the pan from the heat. Whisk the eggs, yolks, and vanilla in a medium bowl and then slowly add the hot milk mixture, whisking constantly. Strain the mixture through a fine sieve into a 1-quart heatproof measuring cup. Portion the custard among the ramekins.it should just about fill each one. Pour the hot water from the kettle into the roasting pan until it comes one-third to halfway up the sides of the ramekins (be careful not to splash water into the custards). Bake the custards in the water bath until the edges are set but the centers still jiggle slightly when gently shaken, 30 to 35 minutes. If the centers are more wavy than jiggly, cook them a bit longer. Rotate the pan halfway through if the custards appear to be baking unevenly. Carefully transfer the ramekins to a wire rack and cool completely. Cover each ramekin with plastic wrap and refrigerate for at least 12 hours, or up to 3 days. To serve, run a small knife around the edge of each ramekin to loosen the custard. Quickly invert each custard onto a plate. If it doesn’t release right away, gently shake the ramekin from side to side a few times to help it out. Espresso Crème Caramel: Add 1 Tbs. instant espresso powder (such as Medaglia d’Oro brand) to the heated milk mixture. This is better than my original creme brûlée recipe from 25 years ago which I picked up from some french cook book. 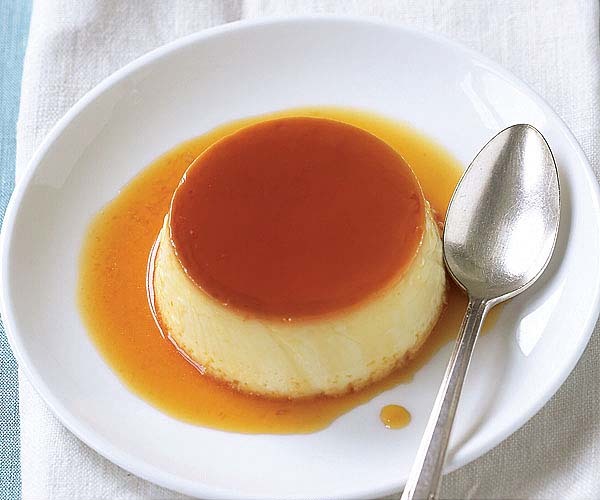 Creme caramel is eggier and silky unlike creme brûlée which is more like a custard sauce with a sugar candy crust. Both are delicious and different despite the same ingredients. One is more unifying the other more about contrasts. I prefer creme caramel for the stronger caramel infused taste in the custard. This is an easy recipe, just time consuming bc you need to bake in the oven, then wait for it to cool down, the refrigerated overnight. It means you must plan in advance. But it only takes a few minutes to whip one up ready for the oven once the caramel is done. This is a terrific basic recipe. I made it dozens of times for my brother who suffered from esophageal cancer. It has calories, protein, and terrific taste and texture. Strain for that silky feel. It makes a great treat for someone who is ill but also a universally approved end to a dinner any time of the year. The recipe was well written and straightforward.... easy to follow. Results came out as expected. Nothing wrong with the recipe at all. But I didn't like the dessert. Mainly what I didn't like was the texture. Most baked custards (creme brulee, pots de creme) use only the egg yolk, so they are creamy and yummy. But this one used a lot of egg whites, which made the dessert hold together really well..... like an egg (yuck). It had a very egg-y Jello-type mouth feel. To me, that was gross. I didn't eat it or serve it to anyone else..... I just dumped it out.